criminal law matters for decades. I am attorney William Wallshein and my Palm Beach County law firm is committed to providing excellent legal representation. I have more than 34 years of experience, including five years as a prosecutor in Palm Beach County, and I am fully committed to protecting my clients rights. If you are looking for a highly aggressive and committed attorney — I am your lawyer. I am a West Palm Beach criminal & family lawyer with more than 34 years of experience handling cases in the justice system. I represent clients in state and federal courts in Palm Beach County and throughout Florida. 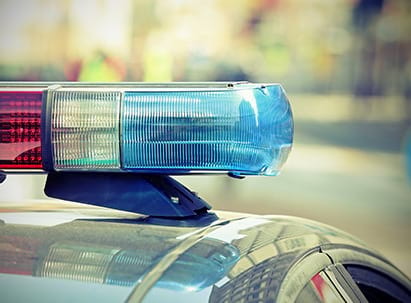 It is essential that you speak with a West Palm Beach criminal lawyer as soon as you know you are under investigation or immediately after an arrest. Handling matters on your own may negatively impact the outcome of your situation. Call me today at 561-533-1221 or contact my Palm Beach County law firm online to schedule a free initial consultation. The word excellence falls short for describing Bill - Bill was an excellent choice for my case. He was fast and very professional with my case, showed and told me straight forward how things were going to go. Great knowledge of law, sharp, and a fighter for you. I highly recommend Bill! Facing a criminal charge is unsettling. For many, it is the first time they need to find a lawyer to help them. When accused of a crime in Florida, you need someone who will listen to your side of the story and work to protect your freedom and liberties. Before making the mistake of trying to talk your way out of a charge, it is critical you speak with an experienced Florida criminal defense attorney. If you have ever been involved in a family law matter, you know how emotionally taxing it can be. Few legal issues are harder fought than those involving divorce, property division, and child custody. All of these matters fall under the broad umbrella of Florida family law. If you are involved in a situation where you need a family law attorney, contact William Wallshein, a knowledgeable Palm Beach Gardens family law lawyer. I serve clients in Palm Beach County, Broward County, and throughout South Florida.